Almost a month over after the greenhouse is completed and the plants were put in place. 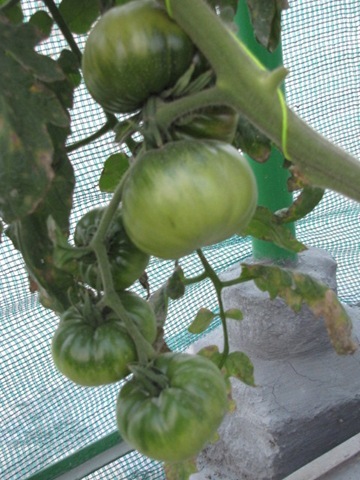 I had the Beefsteak tomato plants just started flowering when I kept them inside the greenhouse and it looks like they like the greenhouse environment. 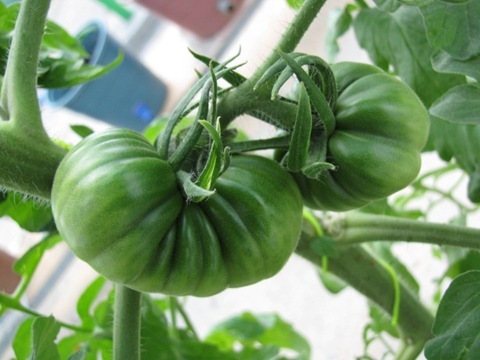 “Marmande” – A beef steak variety. 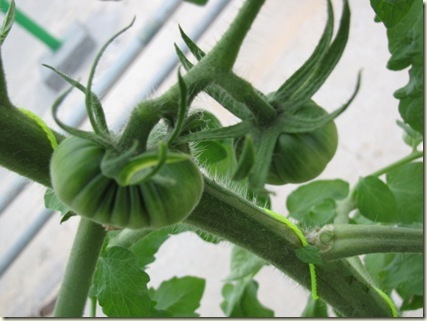 These tomatoes are grown Hydroponically using Cocopeat as the medium. 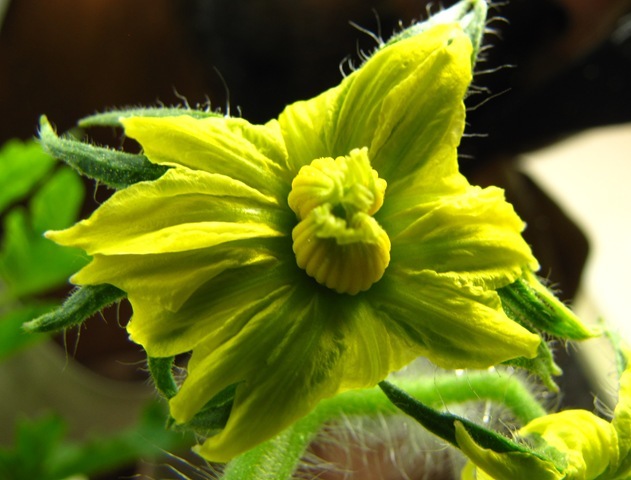 Take a look at this flower, its actually two flowers conjoined( called a Mutant). 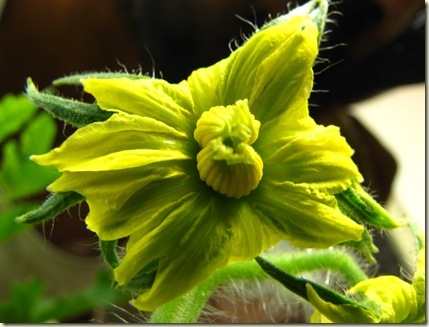 When you get a flower like this, you are in for a big surprise. 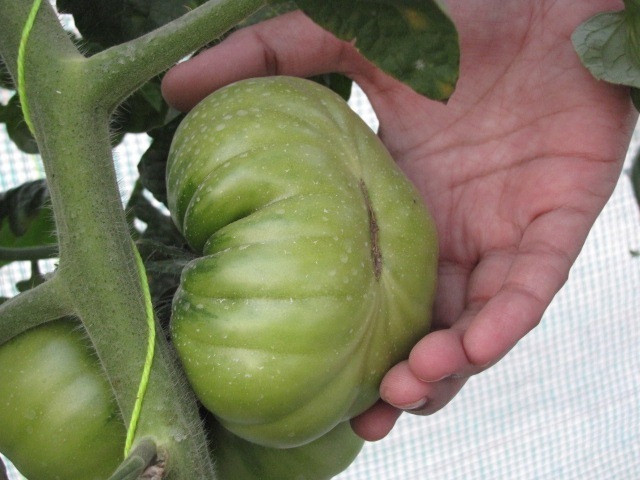 You will get a huge tomato. In the coming pictures you will see what I meant by huge. A few days later, you see this beauty, ( rather boaty). This is Marmande. A variety from France. This is how it looks now. Its a handful. I am just waiting for it to ripe and it is taking too long(may be it is still growing). The plant is not done yet, it has multiple trusses all with big sizes like this. The plant had to be staked properly as it has to hold the fruits in addition. Here comes the variety called Pink of Berne. Checkout the fruit cluster below. 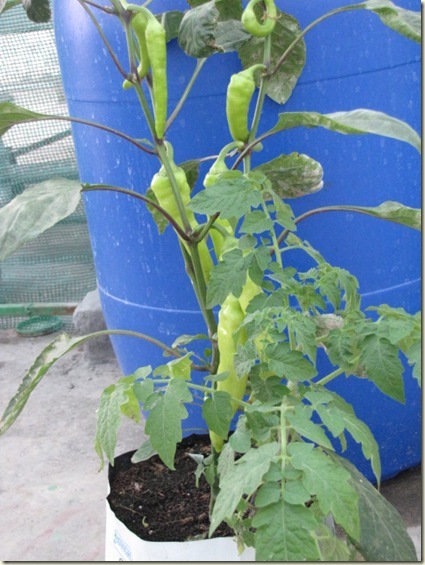 Here is Banana Early Pepper plant, yielding like crazy in 6x6x6 inches bag filled with Cocopeat. 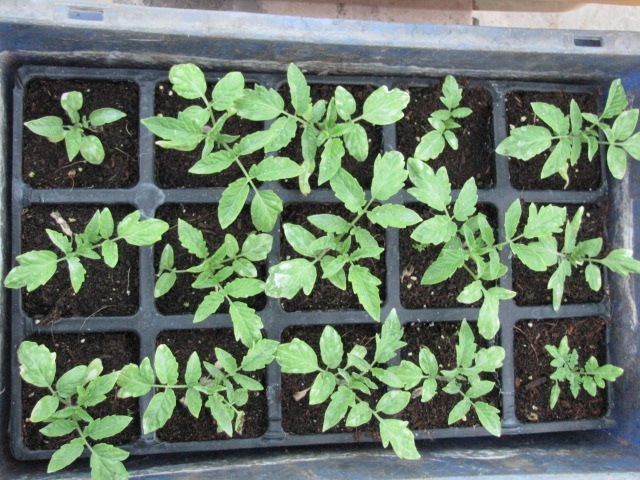 Here is another set of transplants growing in trays..
Its not just tomatoes and peppers in the greenhouse. There is beans, Cauliflower, Lettuce, Spinach, Chow-Chow( Chayote) and Chillies, I will post more pics as and when they are ready for a pose. wow awesome!!!! please let us know when you decide to give classes for budding gardeners. i will be the first in line for sure! Those ‘matoes are humungous!!! The plant seems like it’d yield you forever! Good luck, GG! BTW, I sent you an email requesting for some seeds. gg, Looks great! 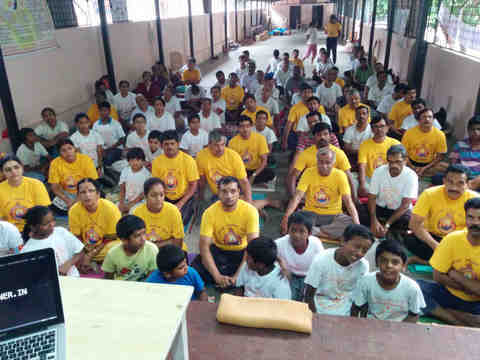 Very inspiring…some questions…. 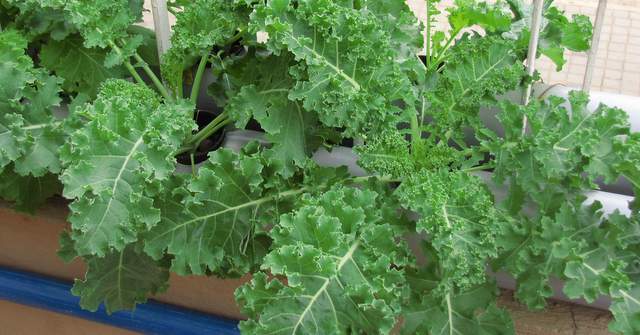 1. what nutrient do you use for u’r hydroponic plants? the one from ISH or something else? 2. 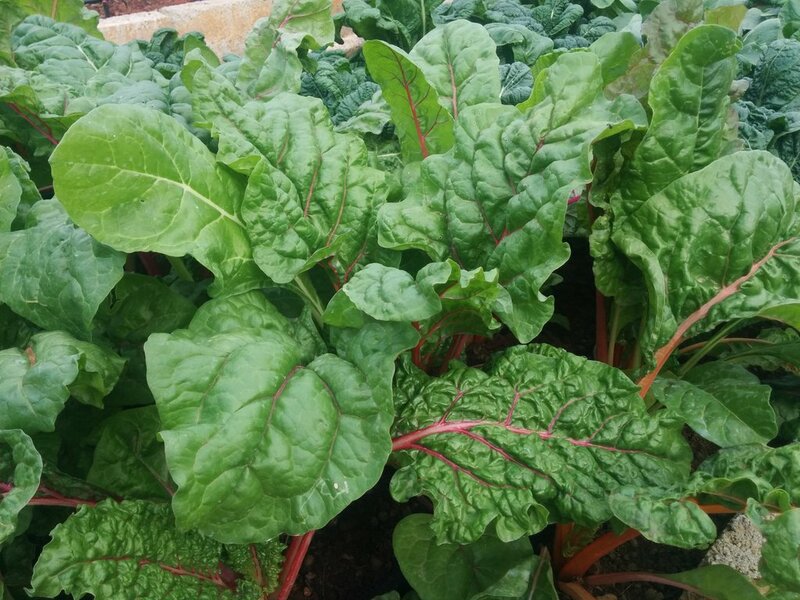 Do you use the same nutrient (with the same composition) through out the life cycle of the plant or change it according to the stage the plant is in? 3. 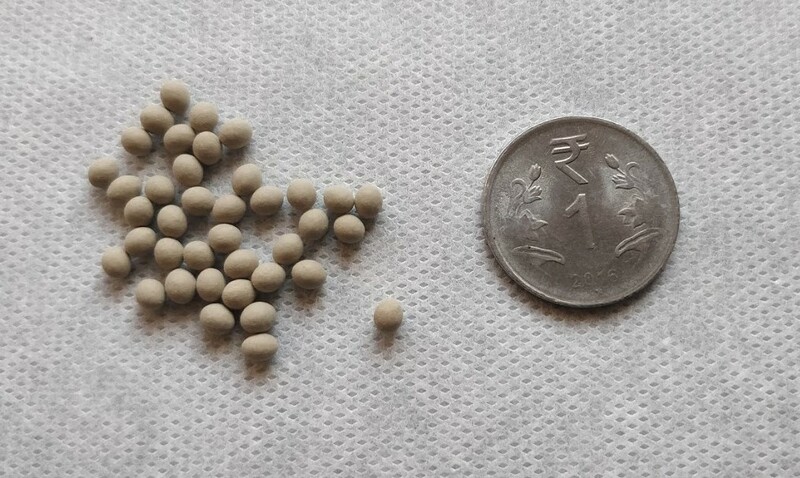 What fertilizer do you use for seed starting? Plain NPK 19-19-19 or NPK with micro nutrients? What brand do u use? I use the same nutrient thru out the lifecycle of the plant. I use 1/2 strength hydroponic nutrients at seedling stage. 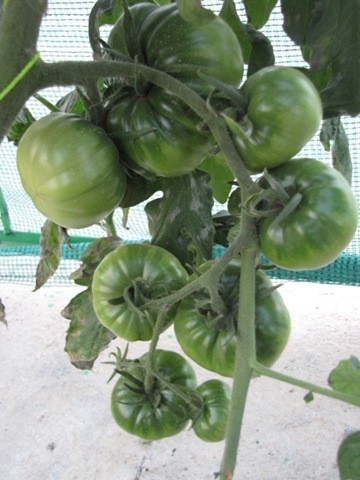 Fabulous tomatoes!! You are tempting me more and more to grow veggies, esp. tomatoes – that means more questions from me !!!!!! Thanks. There are some more beefsteak toms ripening and will post their pics soon. Well, as for my garden I have so far been a flower gardener, growing all kinds from Parijatham, Jasmine, Jathi malli roses, various colours of chrysanthemums and annuals in winters. Only now have I started growing toms, after being inspired by this blog. Since the winter was very severe this year, with the min. temp as low as 4C and a long cold spell when there was no sunshine, the tomatoes that I transplanted in the 2nd week of Jan have just set buds. Hoping to get at least a few tomatoes in the next month. First of all congrats for ur greenhouse. 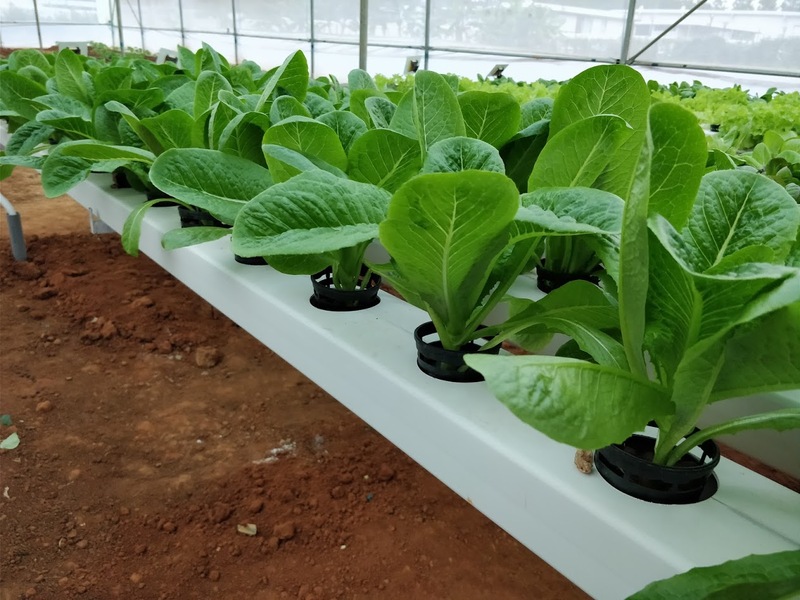 Iam also planning to start my experiments in hydroponics, can u please help guide me who supplies hydroponic material (especially cocopeat) in mumbai. Those Beef steak Tomatoes are so huge! Reminds me of when I follow a recipe written by anyone in the West, I should not forget to consider what they say as 1 tomato or onion or lemon should be converted as 4 in Indian sizes! I’m also enjoying Lettuce, tomatoes, palak and cauliflower. Nice to follow the progress on your garden. And like many others said, looking forward to any classes or workshops you might plan. Your chilli plant is looking great. I am also having few chilli plants. It was growing very healthy till it flowered. But after that the leaves started to curl up and the flowers are also going off. I sprayed neem oil twice and panchagavya also but of no use. I searched in the net and seems like its having some virus attack. 🙁 . Do you have any suggestions? Have you heard about this kind of disease earlier? Leaf curl virus is common among chillies and tomato too. It is mainly spread by flies/sucking insects that act as a vehicle for the virus. Neem sprays seems to work but multiple sprays are needed. I removed 2-3 chilli plants which were severely affected in order to prevent the spreading 🙁 . it was so disheartening to remove it. But the rest of the chilli plants and one capsicum are also getting affected. Now, I am scared whether it will spread to my tomato plants. You can use neem oil sprays regularly and also quarantine those plants that have this virus. 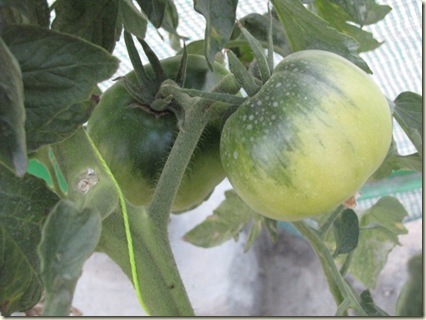 Yellow sticky traps help control whitefly. 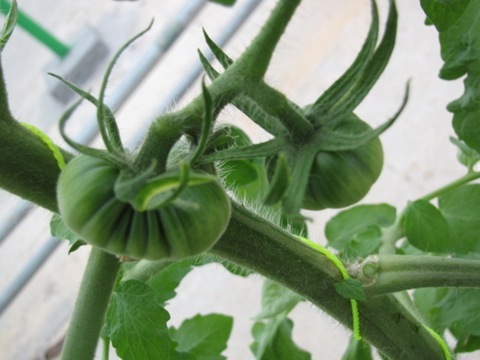 It could spread to tomato plants as well. 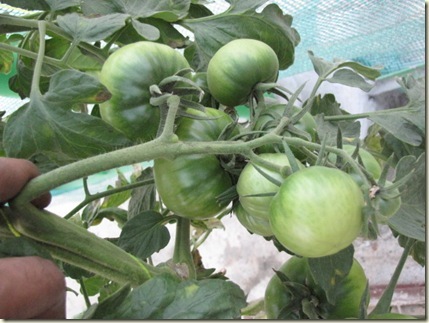 Plants are very nice and your blog is very informative..Can u please suggest the soil to be used for sowing seeds. I tried with vermi compost + Red soil but failed. Out of 60 pods only ten seeds are germinating and even they are getting died after 10 days. i am unable to grow them healthy..
Can u plz suggest the right soil+ care for seeds germination. Can you tell me how to grow ginger and garlic in plastic troughs with coco peat as a medium using hydroponics, including details of the nutrient solutions to be used for this. Do you have netpots and grow bags for sale? 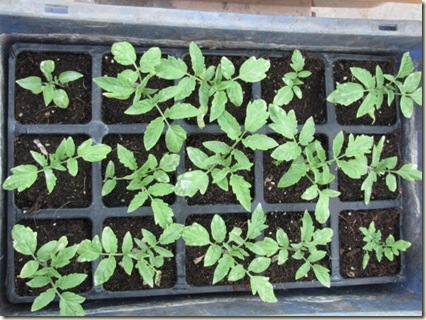 What size of growbags are needed for growing tomatoes and peppers?